WOODBRIDGE, VA (April 4, 2013) — To celebrate Simon Kidgits Club®’s 10 years of delivering entertaining, educational programming to kids at Simon® malls, Potomac Mills, the largest outlet and value retail shopping destination in the Washington, D.C. area, is offering Kidgits Club members a birthday puzzle when they visit Simon Guest Services in Neighborhood 4 (near the Food Court) with a valid Kidgits membership card throughout the month of April. Children will also receive birthday bubbles* during of the Kidgits Club’s spring event on Thursday, April 18 from 10 a.m. – 11 a.m.
As part of the ongoing anniversary celebration, children of all ages will spring into fun at this special Third Thursday event held at Bloomingdale’s – The Outlet Store in Potomac Mills’ Neighborhood 1 Fashion District. Kidgits Club members will enjoy live musical entertainment from local children’s performer,Banjo Man Frank Cassel, delight in complimentary refreshments courtesy of Starbucks and Rita’s Ice and giveaways for moms and dads. In addition to birthday bubbles, children will also receive a complimentary pinwheel* in celebration of spring. Plus, for just $1, attendees will be able to enjoy VIK (Very Important Kid) goodie bags filled with delicious snacks**. Introduced to Simon mall shoppers in 2003 by Simon Property Group, Inc. (NYSE:SPG), the world’s leading retail real estate company, the Simon Kidgits Club is a fun and informative program that focuses on health, wellness, education, safety and entertainment for children ages 3 to 8. Throughout the past decade, the Simon Kidgits Club has served as a community event staple for kids and parents by rewarding young members for good behavior; offering reading hours featuring favorite children’s authors; helping children enjoy time in the kitchen; and celebrating holidays like Halloween, Christmas and Easter. · Engaging with over 1.8 million parents and kids since the inception of the program. · Hosting more than 10,000 family-focused events with more than 1,000 events annually. · Celebrating more than one million children’s birthdays by sending cards and receiving gifts. 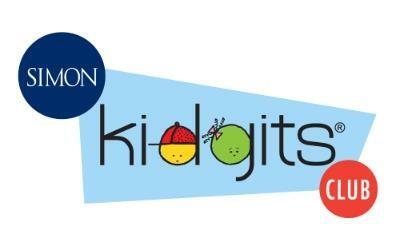 Families are invited to join Simon Kidgits Club and receive a variety of benefits. Each Simon Kidgits Club member receives his or her own official Simon Kidgits Club membership package and T-shirt at the time of enrollment. Other benefits include: a ‘spin’ at the prize wheel whenever the Kidgits Club member visits the mall; special invitations to programs and events at the mall; special discounts and rewards for members only; a Birthday Club (including birthday card and gift redemption certificate); and a periodic newsletter with games, educational features and special news. For more information about the Simon Kidgits Club, visit Simon.com/Kidgits. ** All of the proceeds collected from the VIK bags will benefit Simon Youth Foundation, which helps at-risk students earn high school diplomas and scholarships to realize their dream of going to college. Potomac Mills is the Washington, DC area’s largest outlet mall with more than 220 stores including Bloomingdale’s – The Outlet Store, Last Call by Neiman Marcus, Nordstrom Rack, Saks Fifth Avenue OFF 5TH, True Religion Outlet, Michael Kors Outlet, Talbots Outlet, Tommy Bahama Outlet, Polo Ralph Lauren Factory Store, J.Crew | Crewcuts and Ann Taylor Factory Store. In addition, the center boasts over 25 eateries and the AMC Potomac Mills 18 Theatres with IMAX. A much anticipated new restaurant expansion has added The Cheesecake Factory and Bahama Breeze to the mix, with Bobby’s Burger Palace to follow later this year. Simon Property Group, Inc. (NYSE:SPG) is an S&P 100 company and the largest real estate company in the world. The Company currently owns or has an interest in 326 retail real estate properties in North America and Asia comprising 242 million square feet. We are headquartered in Indianapolis, Indiana and employ approximately 5,500 people in the U.S. For more information, visit the Simon Property Group website at www.simon.com. Simon Property Group, Inc. (NYSE:SPG) is an S&P 100 company and the largest real estate company in the world. The Company currently owns or has an interest in 325 retail real estate properties in North America and Asia comprising 242 million square feet. We are headquartered in Indianapolis, Indiana and employ approximately 5,500 people in the U.S. For more information, visit the Simon Property Group website at www.simon.com.